Many companies charge for time spent driving to your home. At Silverado, customers living within Tucson city limits are not charged a trip fee. There are no overtime fees for work done between 7 a.m. and 5 p.m. on Saturday. We do have extra charges for work done at nights or on Sunday. Silverado has been in business since 2005. 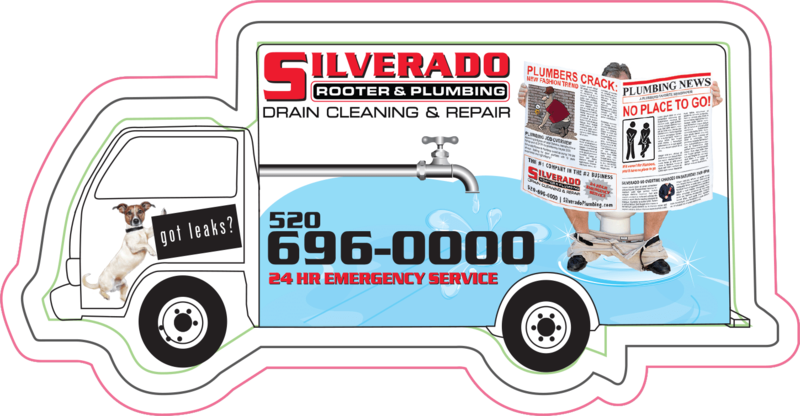 Every Silverado plumber has no less than 10 years of experience, most have close to 20. How do you find a plumber? Get the job done right and save! When you are looking to hire a plumber, make sure they are qualified, reasonably priced, and are prepared to fix your problem when they arrive. Here are the questions to ask – along with the answers from Silverado Plumbing. There are no overtime fees at Silverado for work done between 7 a.m. and 5 p.m. on Saturday. We do have extra charges for work done at nights or on Sunday. However, ask for the total hourly rate – including any trip charges and overtime. Our normal everyday charge with overtime is less than most other competitors’ regular time. Silverado has been in business for 10 years. In that time, we have seen many companies come and go. Many close within the first 3 years. If you’re counting on a guarantee or simply looking for a plumber who stands behind their work and can meet your plumbing needs in the years to come, ask how long they’ve been in business. We talked about how much equipment is on the truck, but here’s a simple question that addresses one of the most common plumbing problems – how long is your snake (a snake is a piece of equipment used to clean drains)? Many companies only carry snakes that are 75’ long. The drop from the roof to the ground is about 40’ so if they have to work from the roof that only leaves them about 35′ to unclog your line. Every Silverado truck carries a snake capable of reaching 300’. We use Gorlitz equipment, the best equipment on the market. Again, we’re prepared to save you time and money by getting the job done quickly and correctly.